My love affair with Elemis is still growing strong!! 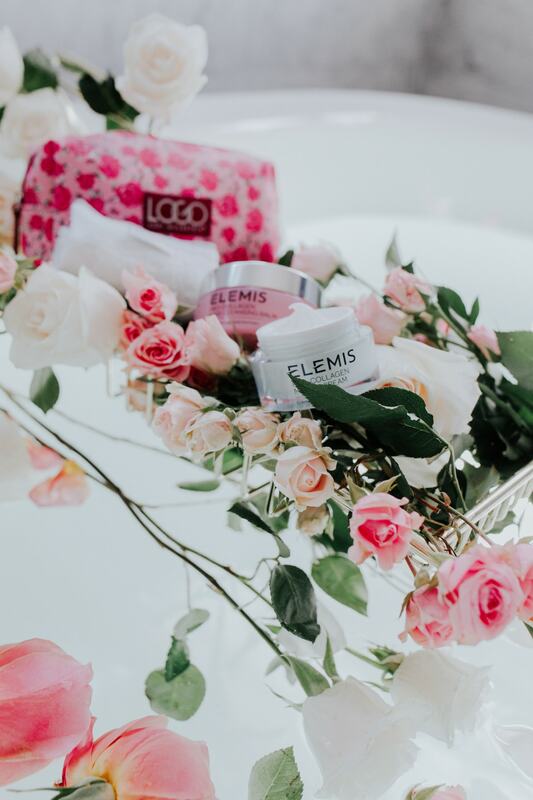 I'm super picky about my skincare, but Elemis is one of those brands that I turn to again and again and again to keep my skin looking and feeling clean, fresh and young! 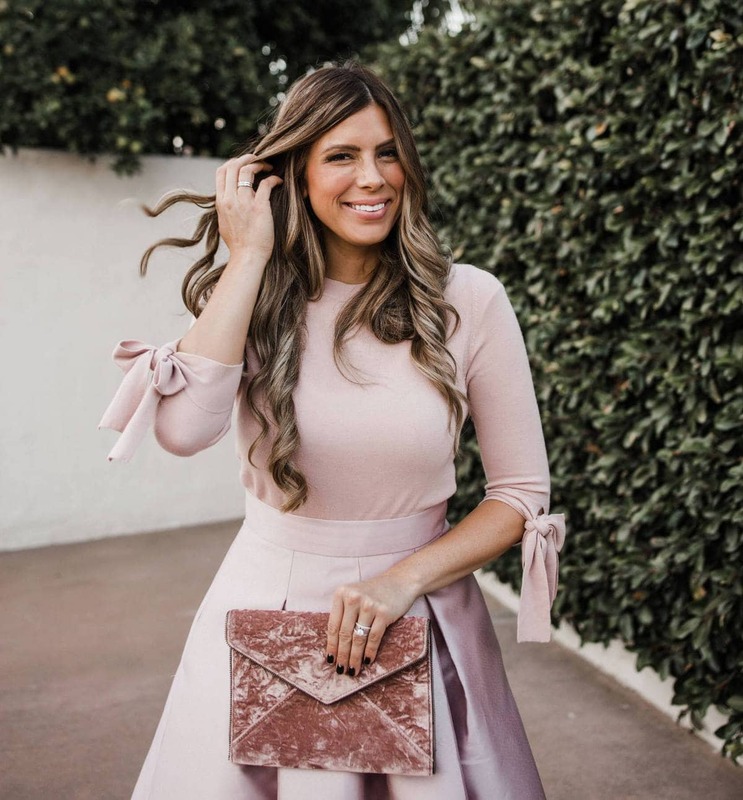 They have a HOT deal and a brand NEW product that I am beyond thrilled to be telling you about! 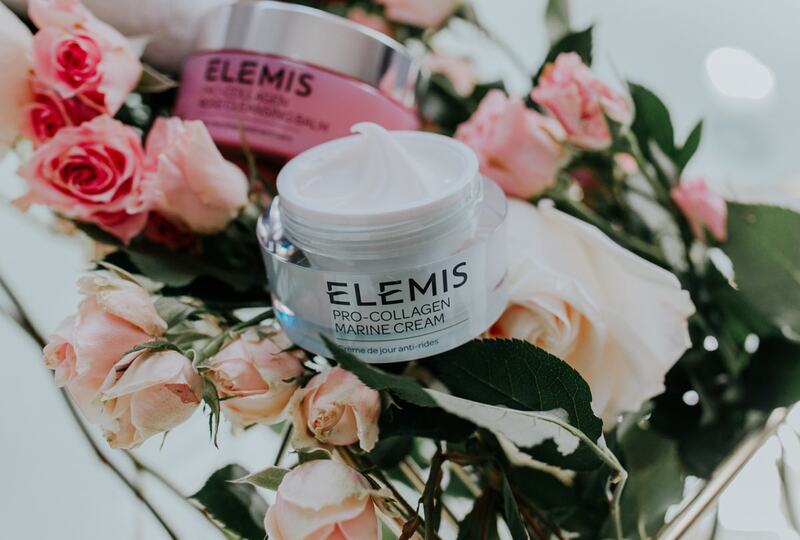 The Elemis Pro-Collagen Rose Cleansing Balm Collection is on sale for $74 right this hot minute!!! The retail value of the 3 products in this collection is $192. That is a savings of 61% + you get free shipping. YES, PLEASE!! This is the BEST deal I've seen on my beloved Elemis classics that I've seen in a YEAR and I. AM. HERE. FOR. IT!!!! It's stock up time. 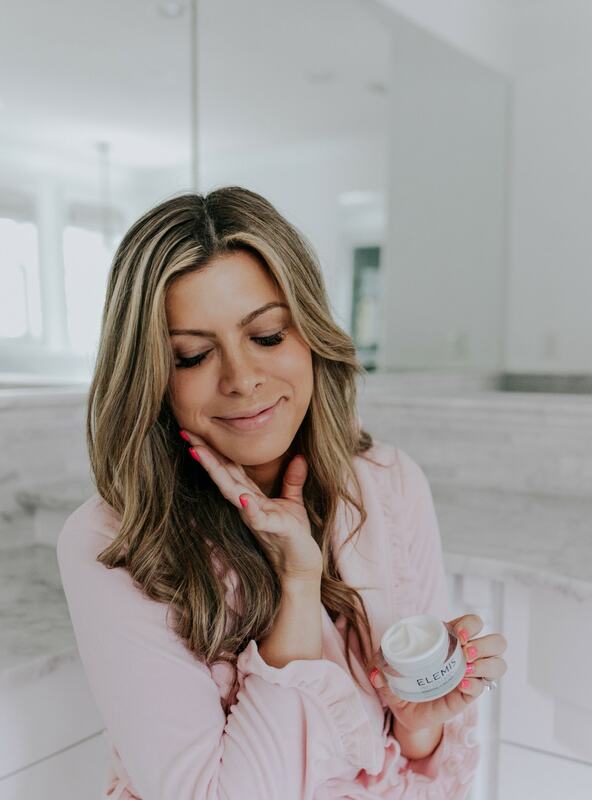 I am SO obsessed with the Pro-Collagen Marine Cream. Of all the beauty products I have had empties of over the years I have had more of these than anything else! The pot will last you a really long time, but this is such a testament to how much I love it and use it! Since I started using the marine cream I have used it more consistently than any other moisturizer-this is my total go-to and a tried and true fave! The marine cream is SO dreamy. It's thick, supple and luxurious and not the least bit greasy. This cream contains a special microalgae, because some scientists found when they uncovered a sunken ship from the Mediterranean sea that the wood on this ship was perfectly preserved from that layer of microalgae, so they got to thinking and realized they could make an anti-aging cream with this same algae! It's INCREDIBLE and life-changing and to say I'm obsessed is an understatement. I've converted my mom and several friends and tons of readers to using it. 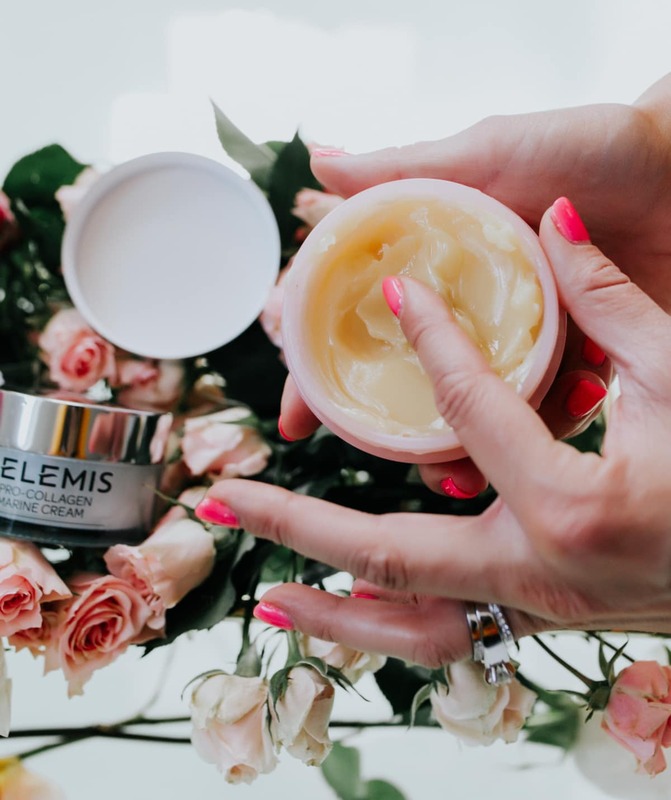 The cleansing balm is the product that started my whole love affair with Elemis and it is STILL a wash from heaven! It's so buttery soft on my skin and leaves it feeling so moisturized and refreshed and clean! It's like magic! 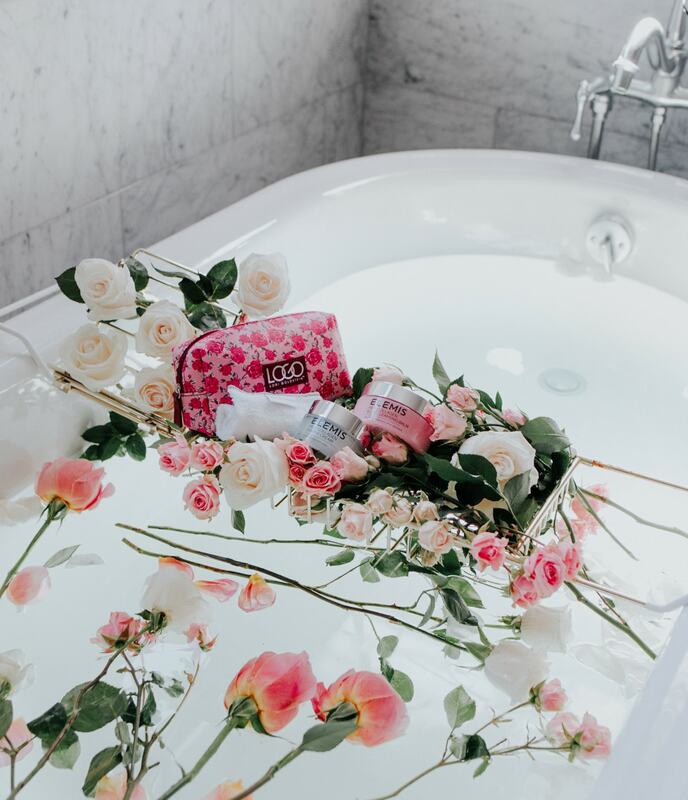 This special edition takes this luxurious facial cleanser to the next level with ROSE! 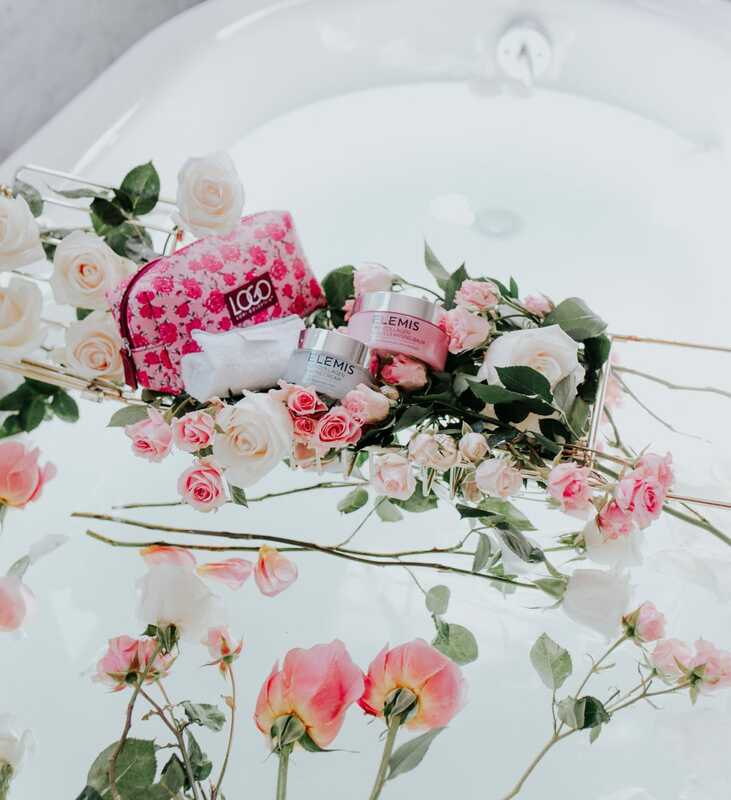 It's formulated with 5 rose extracts and helps cleanse skin, remove makeup, and promote a more radiant and youthful-looking complexion. I know from working with essential oils that rose oil is one of the most expensive and very most powerful oils. So I've always been drawn to products that have rose oils and extracts in them, because I know they're SUPER high quality. Plus this special edition cleansing balm smells sooooo good! 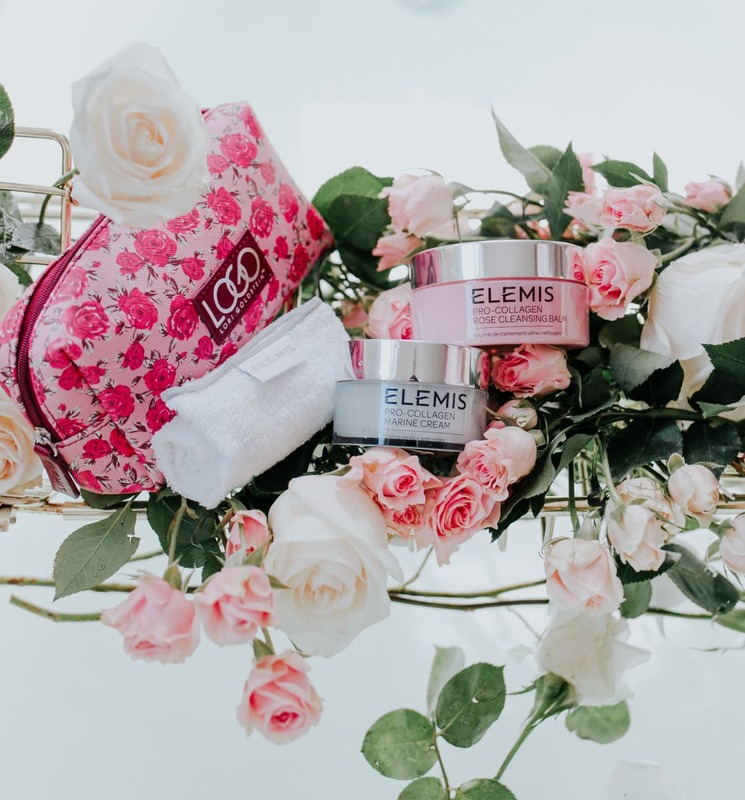 This 3 piece Elemis Pro-Collagen Rose Cleansing Balm set also comes with the prettiest rose covered LOGO cosmetics bag that is exclusive to this set! 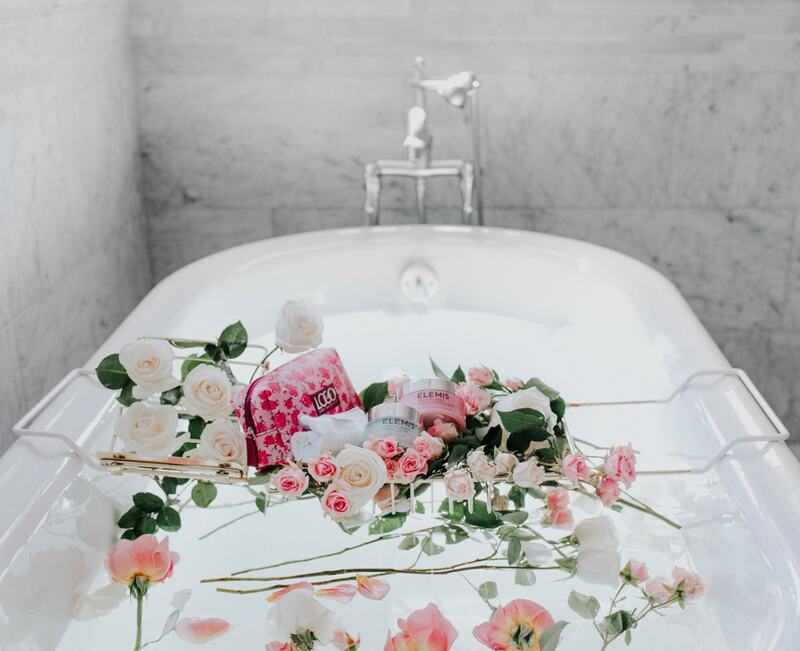 Elemis can be a little pricey, but I am DYING over this 61% off deal! This is the kind of deal I want to make sure any living breathing person who cares about getting a good deal on super nice skincare knows about!! 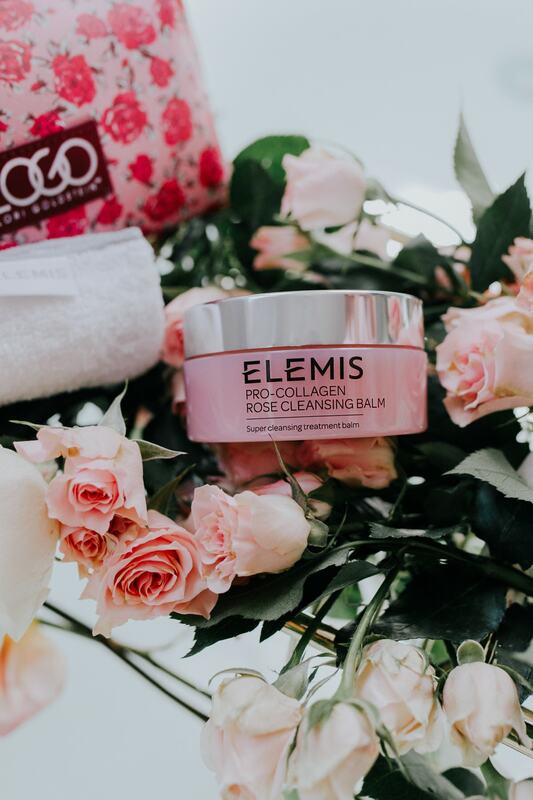 Try out the ELEMIS Pro-Collagen Rose Cleansing Balm Collection for $74 ($192 value) while it’s at this crazy good price. No idea how long this deal will last so grab it while it’s available!! 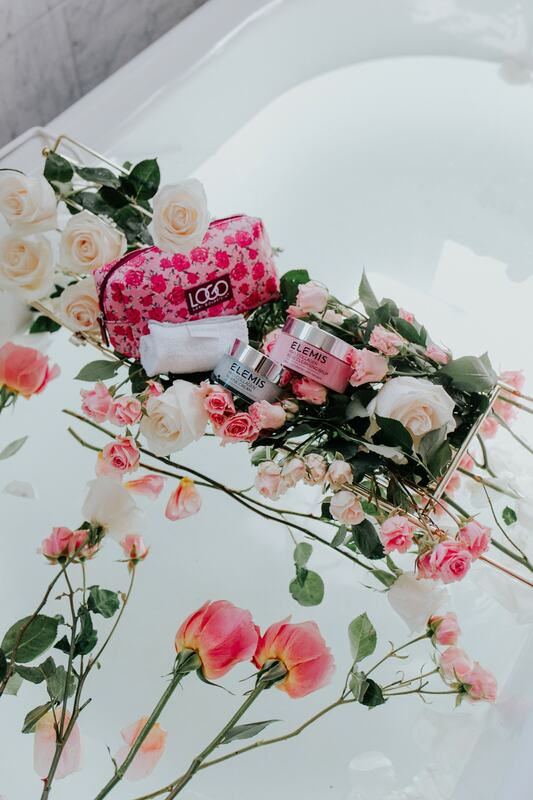 I hope you guys end up falling in love with these products as much as I did! 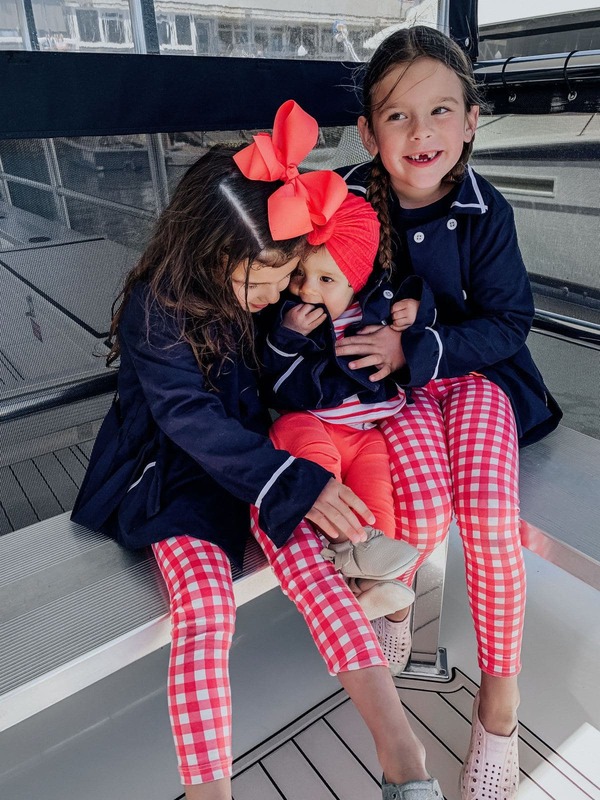 I would never recommend anything that I was nervous for my mom or sister or best friend to spend their hard-earned money on and I give this my stamp of approval one bazillion percent! Hi Corrine! I love your blog and just purchased the Elemis set. They also have a coupon for first time orders using the code “Take10” which takes an additional $10 off your order!! It worked for me!